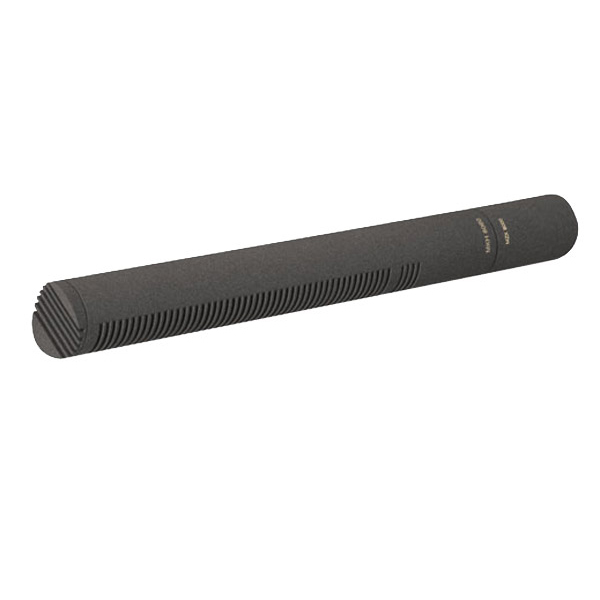 The Sennheiser MKH8060 is a very versatile short shotgun microphone. Its compact dimensions and light weight make it ideal for mounting onto a camera for production work with a boompole. Having a natural sounding microphone without coloring the sound in off axis situations is always a concern and the MKH8060 excels here. This mic is particularly helpful when in an indoor situation where off axis room reflections can color the sound. With the new design of the interference tubes, the coloring is minimized. Sennheiser reports that the MKH8060 is designed in such a way that if the microphone is off axis, the sound only becomes quieter and the color of the audio does not change. As is typical of Sennheiser mics in general, the MKH8060 has extremely high tolerance for RF interference and is extremely weather-proof due to high-frequency circuitry. The Sennheiser MKH8060 includes the MKH8060C capsule and MZX8000 XLR-Adapter Module. As part of the MKH8000 family, both the MKH8060 and MKH8070 can be used with the MZD8000 digital module and the MZF8000 filter module. The MZD8000 turns the microphones into digital microphones with AES42 specs. 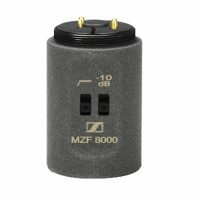 The MZF8000 features a -10dB pad and a switchable roll off filter.